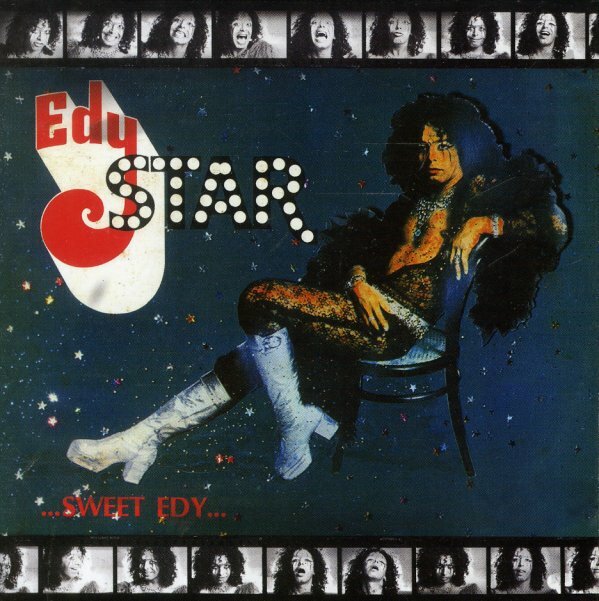 A rare bit of glam rock from 70s Brazil – which you might have guessed from the look of Edy Star on the cover! The set's a bit different than UK glam, though – as it still carries some of the touches of the post-Tropicalia scene – particularly some of the sounds of Raul Seixas and his crew – and also includes songs written by Caetano Veloso, Gilberto Gil, and Erasmo Carlos. Titles include "Claustrofobia", "Edyth Cooper", "Superestrela", "Sweet Edy", "Briguei Com Ela", "Olhos De Raposa", and "Pro Que Der Na Telha". © 1996-2019, Dusty Groove, Inc.